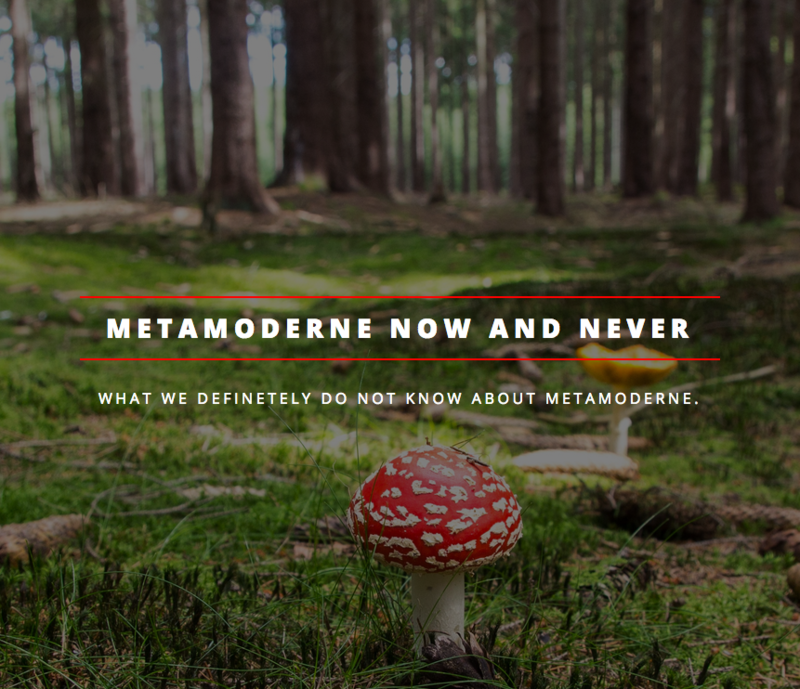 In the Metamoderne all know everything and all nothing. Complete confusion and total information take place almost parallel, but at least both states change at so high a frequency that they become almost one. The two often-evoked antagonists myth and enlightenment merge into a sticky aesthetic slime, which can only be solved with the utmost effort, which is increasingly permeating our lives. This condition is not always pleasant and - provided that it is not recognized and made aware - permanently extremely stressful and, of course, also harmful to health. In the short and medium term, this leads in each case to individual self-imbalance and social ineffectiveness: 1 Shock stagnation on all levels. It remains, by reflection and ratio, strongly suppressed stomach feeling, that something is quite wrong and things should be different. With this feeling we will have to deal with in the coming years in which only two things are certainly safe.